I haven't been around for "centuries", but especially so after the tragic loss of Alan. But today I am writing because of a special request of mine. Who of you went to the Perfume - The story of a murder Q&A, Tricycle Cinema, London. I remember having met Sue and Ana. Anyway, I am asking for pictures of that eve - in case you took some, as I did not. I would be honoured if someone would send me his/her photos as it has been a very unique and memorable evening to me. My thoughts and prayers are with everyone In New Zealand after that horrific attack. On a lighter note, watched a marathon of Alan Films..he was fantastic--no one else like him. Happy birthday on heaven, dear Alan. Wish you were here. Hello and Happy Alan’s birthday!! No, I'm not. See you again, dear Alan. I agree that the annotated scripts are okay to put up for sale. But private correspondence and diaries? If he hadn’t been cremated, I think the notoriously private AR would be spinning in his grave. I really find this shocking. Plus, if they are in Rima Horton’s possession, I cannot fathom letting go of them. Just looked into the contents of Rickman's archive and I stumbled across an item in Box 3 called "Unsolicited fan mail". As English is not my mother tongue I looked the word unsolicited up and my dictionary gave the explanation unbidden or not asked for. Another point, I don't know if this unsolicited fan mail are only selected letters. But even if that's the case I'm not certain how I feel about the fact that a letter that I wrote might end up with someone else. Okay everyone, let's pool our money together! Sorry, having difficulty with links but go to Anna’s link and you can nowclick on the Archive and inventory. @Anna I know! I think the same. But then I think (hope) that Rima had the last say - and decided like he wanted her to do it. Maybe this even was his wish after all (?). Neil Pearson Rare Books is thrilled to announce the acquisition of the archive of one of Britain's most brilliant and best-loved actors: the late, very great, Alan Rickman." I'm a bit confused about that...I thought he valued his privacy and now his private photos, letters and diaries are going to be sold. Just found it. The article is in French but the interview is in English. Sorely missed, beautiful man. Alive in our hearts, always. Thank you, Betty! The same to you. Have a lovely and happy new year 2018! Looks like this page may be a bit dated. It's 2017 now. I just want to say that this website is wonderful. Thanks. I am a huge Alan Rickman fan and still saddened by his death. Thanks for the great collection. Thanks,Sue. that was very good to read. Goldman's latest movie, 'The Limehouse Golem', is based around Peter Ackroyd's Victorian novel 'Dan Leno And The Limehouse Golem' and stars Bill Nighy as Detective John Kildare. However, the role of Kildare was originally given to the late great Alan Rickman - who tragically passed away last year from cancer. Goldman - who is married to chat show host Jonathan Ross - said: "It was just heartbreaking. Quite apart from the film - it's just a film - but the loss of a lovely man." In the original novel, Kildare is only briefly mentioned but Goldman decided to make the detective the leading role in the film. Once again thanks to Juliet and sonoma for their Old Laundry memories. Anyone that wants to share your memories...please do. It really is nice to re-read them. And we had many others join our group and might not have read them before. Lord knows, the archives here are a mess too. So please share. Tom Burke, which is AR's godson, had an interview. So glad his is doing so well in the business. Awww Sonoma! Thanks for sharing your story. I hope it brought back a lot of good memories for you by telling us. It sure was nice to read after all these years. Thank you so much for the stories, everyone. Such fond memories. May we forever carry them with us. Hey Claudia! The Old Laundry is one of my most cherished memories. It was a wild ride, but ultimately a dream come true. I found out about the event at Suzanne's board, I think. I was in London and couldn't believe they were having an Alan Rickman day two days after I was due to leave! I had been sick--dizzy, vomiting....mainly scared of passing out and being robbed, and since I was alone, I was spending my last days in London close to my hotel. I didn't trust myself to do more sightseeing, so I decided to pretend that I was going to the event. That got me out of my room, phoning the Old Laundry about tickets, searching for a B&B, looking into later flights home. Ever so gradually it became possible, and then a reality. It was an exhilarating experience making it happen, despite obstacles all along the way. I remember sitting in the theater and seeing AR just to my left, sauntering down the aisle to the stage in worn jeans, worn leather jacket, and a black t-shirt. He looked amazing. I asked him a question in the talk before Galaxy Quest. After lunch, they screened The Winter Guest, and the talk beforehand was more brief. We all got tea and cake afterwards. AR was next interviewed in a small square theater, with AR and the interviewer on a small stage in the middle. Unfortunately I was on the side behind them, where we looked at the back of their heads almost the whole time. I said to the people near me that one of us had to ask a question if we wanted to see his face, but no one seemed willing to do it, so I did. I got a big laugh from the audience when I started by telling him that I just wanted to see his face! We all lined up for the meet and greet after that. He signed my journal, recorded a very nice message to prove I'd met him for my Mom, who'd just been diagnosed with Alzheimer's, let me get a photo with him, and finally I got to shake that big warm soft bear-paw-like hand. I said he didn't have to sign the 2 photos I bought to support the theater, but not only did he sign them, he got me 2 fresh ones since mine were bent from being carried around. As I left, I realized I'd had the pause button on my little recorder! I went back to the woman in charge and she didn't think he'd do it again, but I could go back to the end of the line and ask. So eventually I was in front of him again, incredibly embarrassed. He said something like, "What, it didn't work?" He let me record another message, though more brief. But what surprised me was that he remembered my name. I believe the evening ended with Sense and Sensibility. I was so worried about being completely intimidated by Alan Rickman in person, but he was so kind. That's what I remember the most. Juliet! Thank you for your memories. Your story brought back all the excitement we all had while we waiting for AR encounters to be shared. 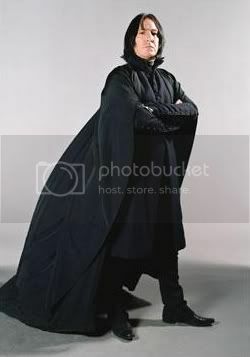 I think I would have been so dumb struck, he would have had to give me one of those Snape looks! Oh dear, I have to do something about the top of this page. I have a little time this weekend to work on this. The Old Laundry outing was a lovely warm sunny October day and all the leaves on the trees were a riot of autumn colours, as I remember. The idea of the day was as a fund raiser for the theatre, with various AR films showing and a Q&A. I arrived in time to see The Winter Guest, then attended the Q&A. It was a fairly comprehensive run through of Alan's career, and I distinctly remember him complaining about how difficult it was to raise money for film projects and how he had something in mind about Louis XIV and Versailles but didn't know if it would ever get off the ground. Of course, he eventually did and it became A Little Chaos. I'm sure AFNH asked a question about acting technique? But blowed if I can remember the answer now! Afterwards there was an opportunity to take photos/get an autograph. They were selling b&w photos to be signed, I didn't have change and someone lent me the money, if they'd like to identify themselves, I'm happy to pay it back!! I was in London last weekend and managed to find the bench. And very nice it is too. For those planning a visit, go to Hyde Park and stand with the Royal Albert Hall and Albert Memorial behind you, walk forward and slightly to the left towards the little brick hut. Just before the hut, turn left through the black iron gate, head 100ft down the path and it's there on your left. Hi, I just watched Alice Through the Looking Glass. I you haven't or skipped the end credits, watch them. About half way through there is a dedication to Alan (at least in the DVD version you get in Germany. It reads 'Dedicated to our friend Alan Rickman 1946-2016‘ and background graphics are wonderful with Absolem as a butterfly. Thank you for posting links to the 2 local newspapers relevant to Alan. good to read. Oh dear! Thank you for the alert, Sue. I will HAVE to figure out something. We can't lose all our emoties and there has to be some place we can share our AR pics and such. Claudia, you might be in for a shock with Photobucket, they want over $300 per year to enable "3rd Party Hosting". There isn't even a facility to pay monthly. They appear to be practically holding people to ransom. Loads of people have lost all their headers and photos from blogs, forums and eBay. They did it all without any warning either. Thanks, Ali-Pat. My memory is not like it used to be. That is why I would love to read these stories again. It was Juliet, Sonoma AND AFNH! We would love to read your stories again. Please? Sue, retell some of your stories with Alan too, please? Also, Ali-Pat, thanks for the word on PB. Let me see what I can do. I have a paid account for family stuff...but I have been wanting to move family stuff over to Amazon Prime. I might keep the paid PB and switch AR stuff over there. Grandkids (all 11 of them) are growing and not needing Nana as much so I am finding some nice quiet time again. Ali-Pat and Sue have been so much help with this GB. Still need yall...but I think they deserve a great big hand! Sonoma was there! Sonoma, are you out there? BTW all the photos and emojis that were housed on PhotoBucket are unavailable (recent change in PB policy no longer allows free storage). Sadly I wasn't there, it was Juliet and a couple of others I think. Getting back to Juliet and Sue. Your stories from the Old Laundry kept me on the edge of my seat back in the day! If you have time, please share them with us again? Pretty please? And yet another example of his warm advice. The Wax daughters are making their Fringe debut. Oh my goodness! 14 years??? I am getting old. Pardon is this has been posted. But Alan's niece is in the news. Bless him...he was such a sweet advisor. Following the death of her uncle, the actor Alan Rickman, Sarah Rickman decided to return to writing and acting. The result was The Existence Formula, a play that tackles questions raised by the onset of midlife crisis and the loss of her uncle. Rickman performs alongside Kirsty Langley, fellow founding member of Juice Company at The Hen and Chickens Theatre from August 13-16. Details on 020 7704 2001. Good lord Juliet, was it fourteen years ago? Eek! Got the latest brochure from the Old Laundry Theatre through the post this morning. For those of you not familiar, this is in Bowness in the Lake District, now a world heritage site! Alan was a long time supporter and trustee. Some of us went to a Q&A there 14 years ago, was it? Anyway bottom of page 2 says "The Trustees and Directors would like to mention Elaine Garrard, Alan Rickman and Victoria Wood - all so influential in the development and output of the Old Laundry Theatre over the past 25 years. We miss them greatly". I've thought long and hard about this and decided to do it. 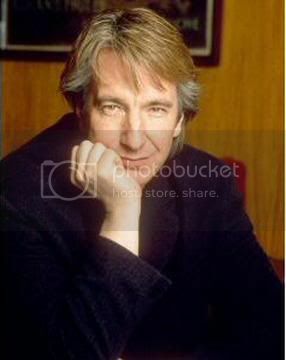 We all love Alan Rickman and we all have different reasons for admiring him. For myself, he was my muse, a spiritual advisor of sorts, and he also helped me create characters. I finally (and it took me all kinds of work to get over this) published my first fantasy novel on Kindle. The reason I am posting this info here, is because Alan Rickman is deeply embedded in the character of Belador, one of the two main characters in my book. Even the illustrations reflect his stamp on the entire creative process. I do realise the admins on this site may see this as petty advertising, but honestly, I just want to connect with other people who are like-minded. It's a fantasy novel, and may not be anyone's cup of tea at all, but he was such a huge influence that I thought I should put this out there. Please just ignore this post if that is not the case.